Among the seemingly endless number of collectable playground crazes of the 1990s was the popular range of football models produced by Corinthian. At their height, these little figures sold by the truck load. Commonly referred to as ‘big heads’, the comical models often looked nothing like their real-life counterparts - rather like the unlicensed digital recreations which crop up in video game titles these days. 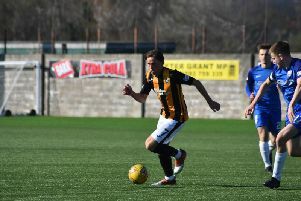 Footballers from across the globe were featured in the hit series, including a large number of players plying their trade here in Scotland, as well as Scots registered to other leagues. See for yourself if you can guess who is who in our picture quiz - it’s not as easy as you might think!